The 2019 SCSTC Park City ski trip took 18 club members to the largest ski resort in the United States. 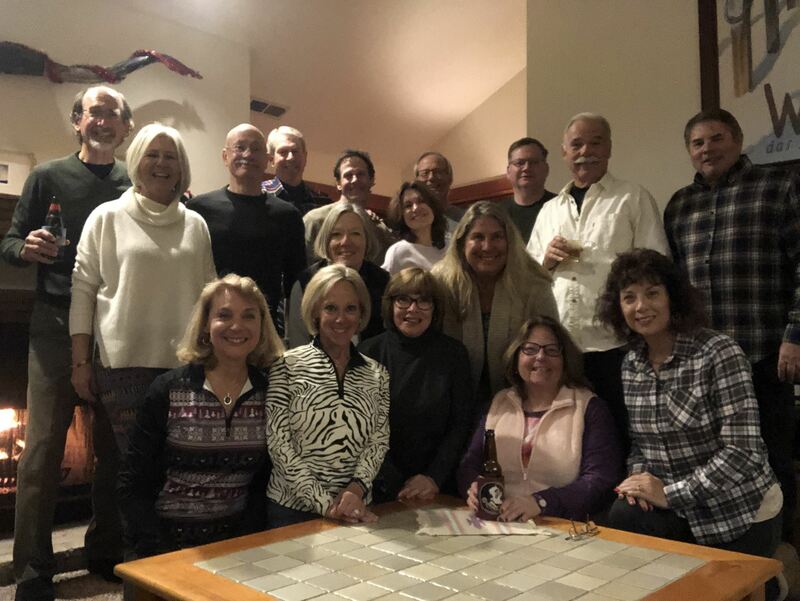 The Florida Ski Council brought together a total of 248 travelers from 9 Florida ski clubs to enjoy the combined Park City Mountain Resort, Canyons and nearby Deer Valley ski areas. With 7,300 skiable acres at Park City & Canyons plus another 2,000 skiable acres at Deer Valley, the options for 6 days of skiing were nearly unlimited. With over 103” of snow at the base areas, light snowfalls during the week and several blue sky days made for a spectacular ski outing for our Space Coast travelers. Group travel was arranged from the Orlando Airport to Salt Lake City Airport on Southwest Airlines. The two free checked bags made this option an extra value. With only a 40-minute bus ride to Park City the commute day was easy enough. The group did make a grocery and beverage stop to take advantage of our full kitchen, 2-bed/2-bath condos at the Silver Cliff Village Condos centrally located in Park City. The condos were situated a short 10-min walk to either the Park City base area or the Main Street entertainment district. The condo location was on the “High Frequency” zone for the free local shuttles so the bus wait was usually less than 5 minutes and only a 5-minute ride to either Main Street or the Park City Mountain Resort base area for those that chose that service. The FSC provided activities throughout the week for our travelers. Sunday evening all clubs met at Flanagan’s on Main Street for an Après Ski Happy Hour. The next evening was the FSC Welcome Reception at the Park City Resort Base Legacy Lodge. Tuesday started out with a group photo session at the Park City base area and then the FSC first-ever On-Mountain-Poker-Run was held. Riddles were handed out, skiers and boarders solved the puzzles and skied off to find the playing card holders across the mountain to draw their cards. Skiing was on green and easy blue trails so the Poker Run was open to all. Our own Connie H. achieved notoriety by drawing the worst poker hand of the day. The last FSC event was the “60’s” Gala dinner and dance the following evening. Connie was recognized for her poker achievement and awarded a gift from the Park City Resort. Great fun was enjoyed on the slopes, at the evening FSC and club social events and in the warm conversations of our travelers. George and I were pleased that such a great group of travelers joined us on this trip to Park City. The 4 couples and 10 single travelers made the trip planning and travel a pleasure. We had skiers with various abilities from working the green marked runs to challenging the black diamonds with deep powder snow. 6-days of excellent skiing with no injuries made the trip that much more special. Thanks for traveling with the Space Coast Ski and Travel Club. George and I hope to see you on future alpine ski trips or other club travel adventures.